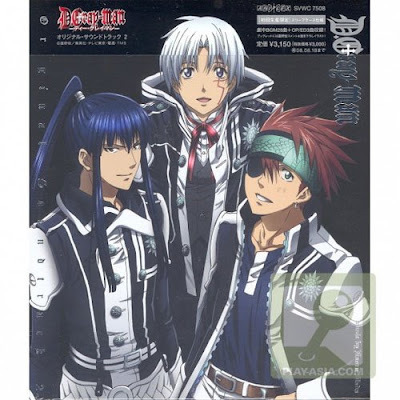 D.Gray-man is one of the most boring anime series I had ever watched. Other boring series include Neo Angelique Abyss (rated as one of the lowest on anime review sites, some as low as 0.5/5.0) and recent episodes of BLEACH. I don't get how they even became popular somewhere. Must be the lack of better shows aired there. I have just bought a USB (Universal Serial Bus) to LAN (Local Area Network) device as the one built into the mainboard is not working. I don't know whether it's the hardware or the drivers. Since it's connected to USB 2.0, it can only transfer up to 12Mb/s instead of 100Mb/s that it's capable of. As the PC unit was bought secondhand some years ago. Finding the drivers for it was not easy as the company that made the LAN part (Intel) does not provide the dirvers but point out to the company that made the entire thing (Compaq, now part of HP). I went to the manufacturer's website. What made it difficult was I had to provide the model number (which was not easy to find) and then install some program, and stuff happens. The installation said it was successful, but when I plug the LAN cable in, nothing happened. Also an icon at the notification area that indicates the network status is missing, not even "a network cable is unplugged". I ended up giving up. As the ADSL modem is connected to the PC via USB, I don't see the urge to further solve the problem as I can use that as a hub to another PC connected to it via LAN. My knowledge about how ADSL works is limited back then (before mid-2007) as when I switched internet providers (from Pacific Internet to SingNet, after 5 years) as it provided 6Mb/s (they upgraded it to 8Mb/s recently) as compared to 512kb/s. As the "modem" provided by SingNet does not come with USB drivers (the manual never said so) but does provide a LAN port. I used the LAN cable from that to the older (bulkier and next-to-useless) one that came with the final renewal with PacNet so that I could use that internet. I now only need to login once by using a web page generated by the "modem" to get to the internet instead of after restarting the PC, unplug the phone, or turning it off. Seeing that I would be receiving a (low-end) new laptop in the comming months and the fact that the other existing PC (2 were added since the LAN of the PC mentioned in the previous paragraph was spoilt, and another 2 older ones "exploded") had no access to the internet (unless I unplug it from another, not practical when more than 1 wants to use at the same time or use it frequently. ), I bought a wireless-G router Speaking of switching providers, since I switched until about 2 months ago, when going to friendster, I would keep encountering the "connection was reset" on every other page I tried to load, no matter what browser I was using. It affected my user experience there to the point that it would be a waste of time trying to update it that I had abandoned (not deleted) 4 out of 5 friendster accounts. None of them contain my real info, but there are some hints here and there. You can say that I had used that "modem" that came with the last Pacific Internet renewal for more than 2.5 years. But since I had switched, I kinda felt that it's a waste of electricity to use it as an "adaptor" as I also already bought a router around that time and use more of the laptop, but can't come up with a solution. I could replace with another, but my sister would complain if I were to even move it. Besides, my policy is to use the PCs until they can't be used, even if they are hardly used along the way and for some reason keep "the spoiled ones" at the same place as "(old and) usable, but hardly used". With crazily rapid rising oil prices (and the dropping of solar panels prices, but still higher than oil in KWH), it would be impractical to leave it on overnight. So, if i'm downloading something, I would leave the router and "modem" on along with the PC that is downloading. The rest would be turned off, unless someone is using that too. However, if they are logged in but have not been using it for a long period of time, I would turn it off, regardless of what they have running on their side. Everything if none of the computers are doing anything. Oh yes, Windows XP SP3 has RTM (released to manufacturing) not long ago. Most of the updates are business-oriented updates though. If you are (for some reason) upgrading from SP1, you should upgrade to this unless you can stand installing the 90+ critical updates since SP2 was released. Will be moving to the U.S.